Liverpool Set To Part Ways With This 26 Y/O Defensive Star: Huge Mistake Or Good Riddance? 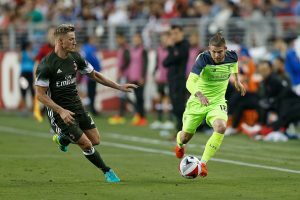 According to recent reports, Liverpool are looking to part ways with Alberto Moreno during the January transfer window with Sevilla eager to recruit him. It is understood that the Spanish defender dreams of a move back to his homeland and could get his wish in January itself even though his contract at Anfield is set to expire at the end of this campaign. Moreno has struggled to feature for the Reds ever since Andrew Robertson broke into the Liverpool first-team last year. The Scottish full-back has looked more reliable both defensively as well as going forward which has seen the Spanish talent demoted to the bench. The 26-year-old’s time at Merseyside has also been plagued with injuries. Hence it shouldn’t be a surprise that the Liverpool outcast is keen to kickstart his career away from Anfield. The former Sevilla sensation has made just three appearances for the Reds this season but is yet to make a significant contribution on the pitch. Moreno has also been prone to some high-profile errors during his time at Merseyside, most notably his nightmare performance against Sevilla in the 2016 UEFA Europa League final where his mistake cost Klopp’s side big time. Despite being productive in the opposition half, the Spaniard is still far from reliable defensively, which is one of the main reasons why he now finds himself on the fringes of Jurgen Klopp’s squad. What Does The Spaniard Offer On The Pitch? Moreno is very quick and is a good dribbler with the ball down the left flank. He can also link up play well in and around the opposition penalty area and is quite accurate with his attempts from a distance. However, the Spanish full-back is a big headache in defence and has a terrible habit of making some reckless tackles even when his side are on top. Will Moreno’s Departure Be A Mistake Or Is It A Good Riddance? The Liverpool manager should look to sell him as soon as possible because the Spanish defensive ace has not shown any signs of improvement over the past few years. He is still a significant liability in defence, and his Anfield career is going nowhere. Moreno needs a fresh start and could flourish with a switch back to Spain as he might be more comfortable playing in a less intense and physical league than the Premier League. Liverpool Defender Inching Closer Towards A Move To Serie A: Good Move For All Parties? 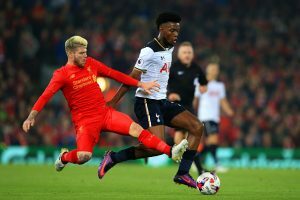 Liverpool Defender Frustrated With Life At Anfield: What Should Klopp Do Here? Arsenal Makes Move For This Liverpool Fullback: Does It Make Sense For Emery To Reunite With Him? 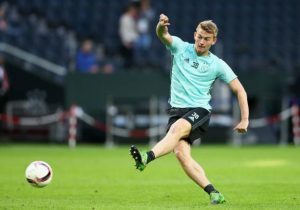 3 Replacements For 28 Y/O In Demand Southampton Defensive Star Including This Celtic Backline Ace! Liverpool Planning A Swap Move To Bolster Their Defence: An Excellent Choice By Klopp? Liverpool Defender Set For A Summer Switch To Barcelona: Good Move For All Parties?